A reunion movie featuring the cast of the 70's hit TV series CHiPs. Your favorite characters are all here, including Frank "Ponch" Poncherello, Jon Baker, and Seargent Joe Getraer. 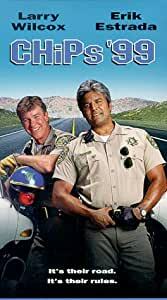 As in the original series, this movie finds the guys teaming up to keep the California Highways in and around Los Angeles safe from harm.